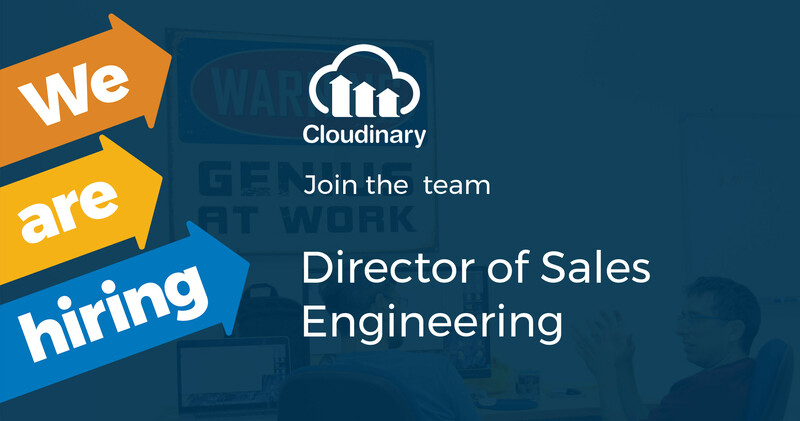 Cloudinary is looking for a Director of Sales Engineering to provide pre-sales support for our rapidly-growing customer base. This person will be responsible for helping develop solutions for identified prospects, helping the marketing team with technical content and insight (blog posts, articles, etc) while being a lead technical resource for the sales organization as a whole. Working with Account Executives to do product demonstrations for prospects. 7+ years of customer facing experience as a Sales/Support Engineer in an enterprise SaaS environment.